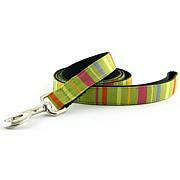 Dog Party Dog Leash - 5' x 1"
Make your furry friend the life of the party! 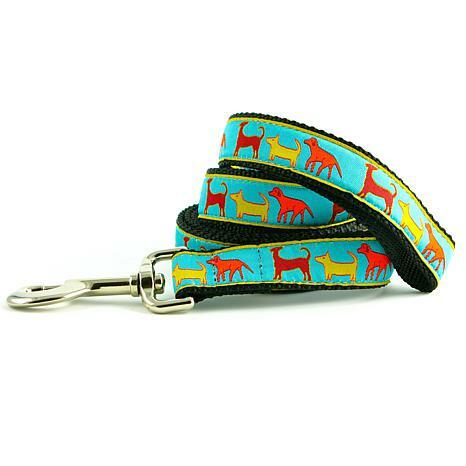 This colorful leash offers a designer-savvy flair that's perfect for walking on the beach or feelin' frisky at the dog park. 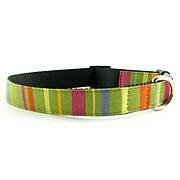 Your pup can show off a fashion-forward collar that's tough and practical yet chic and comfy. What a lucky dog! Isabella Cane Cotton Trellis Dog Leash - Pink 5' x 3/4"